Dodge Repair in Orlando | C & G Auto Center Inc. Whether you have a Dodge Durango, Challenger, or Dakota, our auto mechanics at C & G Auto Center in the Orlando, Davenport, and Winter Park area would like to be your go-to auto repair technicians. 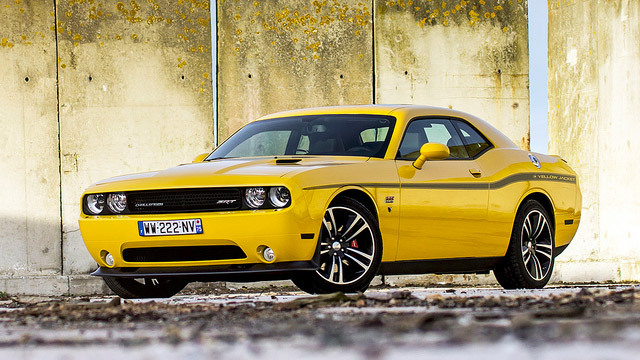 The Dodge brand has been around since before 1914, so they have a rich history and iconic brand. Our auto repair technicians want to maintain your Dodge so that it stays around for a long time, too. The Dodge has been around for over 100 years for a reason, and it’s an iconic emblem of the American landscape now. But even icons need maintenance and repairs sometimes. The auto repair technicians at C & G Auto Center in the Orlando, Davenport, and Winter Park area are well-established Dodge repair experts, with loads of experience to maintain your Dodge. At C & G Auto Center, our technicians stay up-to-date on the latest and greatest automotive technology so you can have peace of mind when you drop off your Dodge for service. At C & G Auto Center, we’ve been around Dodge vehicles for years and have seen our fair share. We have twelve bays, four technicians, and two service advisors. If you’re here in the Orlando, Davenport, and Winter Park area as a tourist, we’ll give you a reasonable rate, plus a nationwide warranty of 24 months / 24K-miles for your peace of mind. Plus, we can shuttle you to the amusement park while your vehicle is getting serviced, too! We also have a special deal with a towing company, and we can deliver the car for you, so you can spend your day with your family instead of sitting around! “Thanks for explaining repair in such an easy, caring manner! You guys are the best!” -- Terrie and John W.
If you’ve been procrastinating about giving us a call, now is a perfect time! Pick up that phone and ask us what we can do for you. Our auto technicians are friendly, technically savvy, and committed to your safety. Schedule an appointment today, or stop by. C & G Auto Center is located at 4155 W. Oak Ridge Rd., Orlando FL.